Forensic Chemistry – identify the mystery substance. I saw this really cool Whodunit? experiment on Fetch! With Ruff Ruffman on PBS kids a while back. I’ve been dying to do it ever since and I finally got around to doing it with the kids. 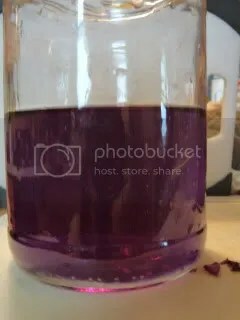 We made a substitution to the directions on the link: instead of grape juice, we used a homemade red cabbage indicator dye. 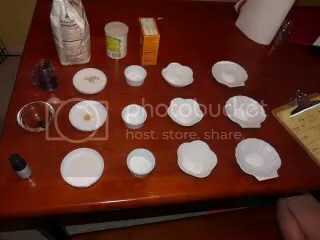 The object is to identify the mysterious unknown white powder by comparing the chemical reactions to three other known white powders (flour, baking soda and baking powder). By determining the reactions of the known, and comparing them to the unknown white powder, we should be able to determine the mystery substance. 2. 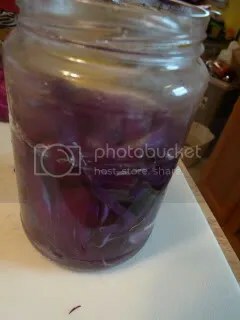 Add hot water to the cabbage in a glass jar (pickle jars work nicely). 3. 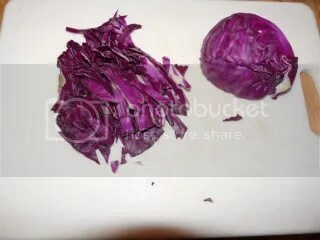 Strain the cabbage juice using a strainer and then you have your red cabbage indicator dye (why yes, it is supposed to be purple). Oh, and you only need a little bit for this experiment, but you can save the rest of the cabbage juice for identifying household acids and bases. 3. 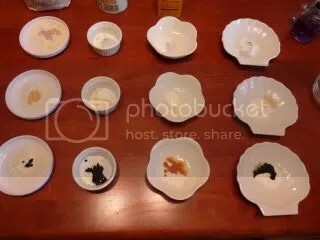 Add 5-10 drops of your reagents to each dish one at a time, starting with the first column. When you are done, your child should be able to tell you what the unknown substance is. This entry was posted in Chemistry, Forensic Science. Bookmark the permalink. © Casey and The Exploration Station, 2008-2010. Unauthorized use and/or duplication of this material without express and written permission from this blog’s author and/or owner is strictly prohibited. Excerpts and links may be used, provided that full and clear credit is given to Casey and The Exploration Station with appropriate and specific direction to the original content.